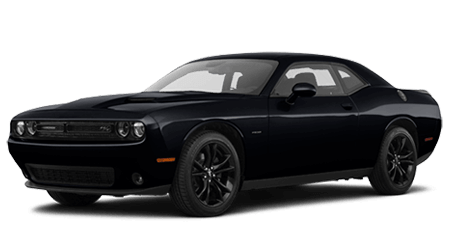 We have new 2019 Dodge Challenger models for sale at Premier CDJR of New Orleans in New Orleans, LA! If you are on the hunt for a new Dodge muscle car that offers a selection of robust colors, heritage styling, and performance attitude, then come over from Metairie and Kenner to our Dodge dealer. You can book your Challenger test drive online. We'll have your next new Challenger waiting for when you arrive. Dodge offers the 2019 Challenger in fifteen distinct trim levels! We're going to take you through some of the highlights, but for a comprehensive experience, visit our Dodge dealership in New Orleans, LA to see these models in person. The lineup begins with the 2019 SXT. This new Challenger comes with Ua 7-Inch Touchscreen, Android Auto™, Apple CarPlay® Support, integrated Uconnect Voice Command, Bluetooth® Streaming Audio, and SiriusXM® Satellite Radio. Under the hood lives a 305-HP 3.6L Pentastar® V6 Engine. The Challenger R/T gives you 20-Inch Premium Painted Aluminum Wheels and a 372-HP 5.7L HEMI® V8 Engine. If you're interested in a functional SHAKER hood, the Challenger R/T SHAKER gives you that and a Performance Steering Wheel with up to 375-HP 5.7L HEMI® V8 Engine. The 2019 Challenger T/A includes the T/A Air-Grabber™ Hood with Mopar® Cold Air Intake, Illuminated Air-Catcher® Headlamps, and the Satin Black Roof and Decklid Wraps. If you are searching for Configurable Drive Modes in your new Challenger, the 2019 SRT® 392 also offers the SRT® Flat-Bottom Steering Wheel, 485-HP (Estimated) 6.4L 392 HEMI® V8 Engine, and a High-Performance Suspension. It's no secret that the Hellcat is no housecat. Maybe it's because of the Supercharged 6.2L HEMI® SRT V8 Engine With 707 HP and 650 LB-FT of Torque. We like this model in Go Mango exterior paint because that color showcases the 20x9.5-Inch SRT® Low-Gloss Black Performance Wheels. If those stats aren't quite enough for you, Dodge created the SRT® Hellcat Widebody. Under the hood lives a Supercharged 6.2L HEMI® SRT Hellcat V8 Engine that delivers 707 HP and 650 LB-FT of Torque. After a few hot laps, you might not have much of the 305/35ZR20 Pirelli® All-Season Performance Tires left. Thankfully, you'll still have Electronic Power Steering with Driver Selectable Steering Tuning, Heated/Ventilated Laguna Leather-Trimmed Performance Seats, and Widebody Fender Flares that add 3.5-Inches to the Overall Width. Which Big Cat will find a home in your garage? To help you decide, our sales team is standing by to tour you through these engines and features. We hope you'll visit our New Orleans, LA, Dodge dealer soon to experience the 2019 Dodge Challenger models we carry. Start the process of being pre-approved for financing by applying for Dodge Challenger financing near Metairie and Kenner! If you want a new muscle car for your driveway, take home a new 2019 Dodge Challenger. Premier CDJR of New Orleans boasts a skilled service department here in New Orleans, LA. Feel free to use our website to book your maintenance appointment. Visit us soon to see the 2019 Dodge Challenger!